Early morning finds Carnival Freedom anchored off of George Town, Grand Cayman. 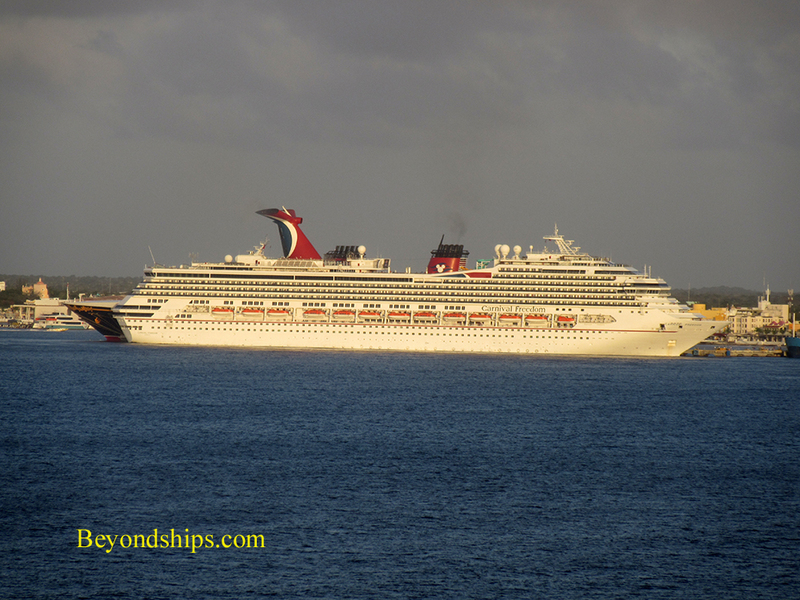 Grand Cayman is probably the most popular Caribbean cruise destination that does not have a cruise ship pier. Consequently, it is not unusual to find several cruise ships anchored offshore and tendering passengers into George Town. The cruise ships must anchor so as not to damage the coral that grows in the waters off Grand Cayman. Still, it is not a long run from the ship into the town. 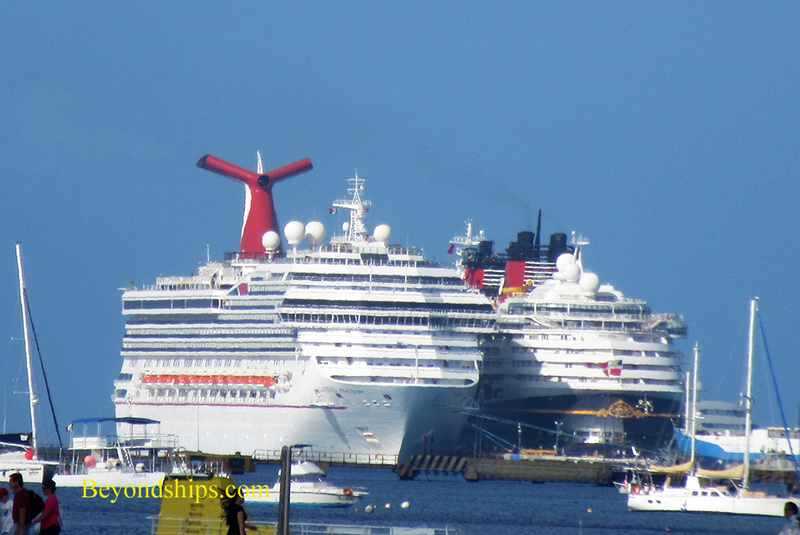 With Carnival Freedom in Grand Cayman are Serenade of the Seas (above) and sister ship Carnival Conquest (below). 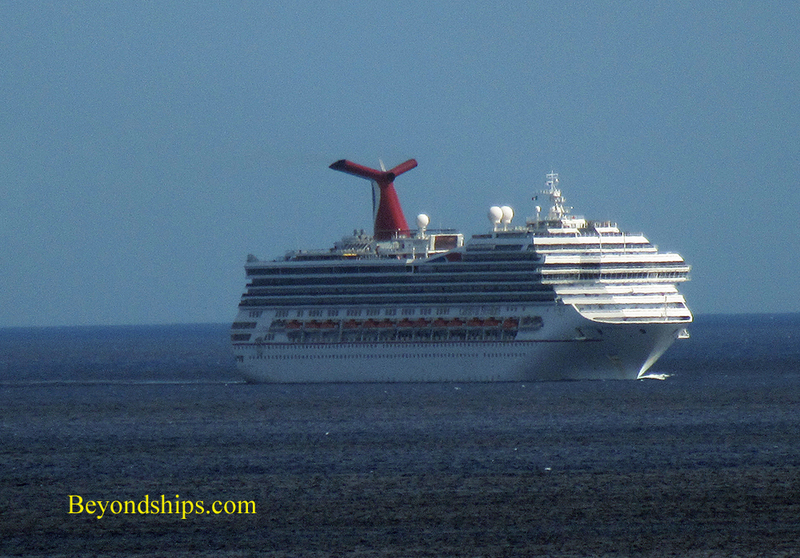 The next day, Carnival Freedom arrives in Cozumel, Mexico. Docking downtown, she is next to Disney Magic.